Peel the limes and cut the peel into strips. Squeeze out the juice. Whisk together soy sauce, honey, lime juice and sesame oil. Mix with tofu then leave to marinate for two hours. Thread the tofu onto skewers and grill the kebabs for two minutes on each side. Sprinkle with sesame seeds then serve. 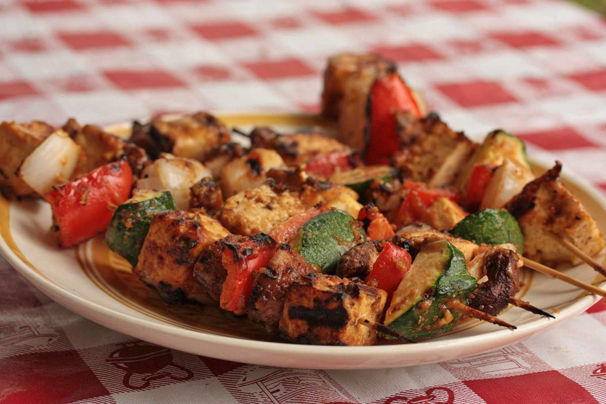 For added taste, add grilled vegetables to the skewers.